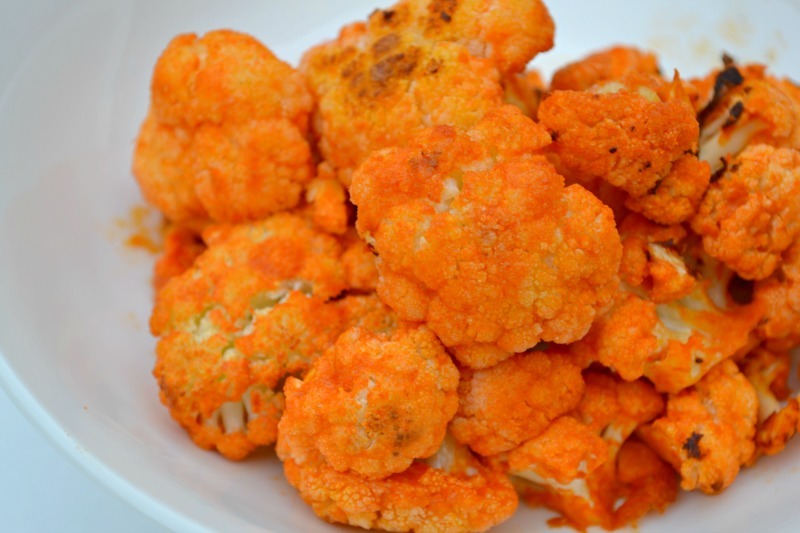 Posted on August 31, 2016 February 11, 2019 by Heather W.
For this recipe, all you need is to coat your cauliflower in a hot sauce mixture, cook in the oven for 20 minutes and then they are ready to enjoy. YES! They are that simple to make. 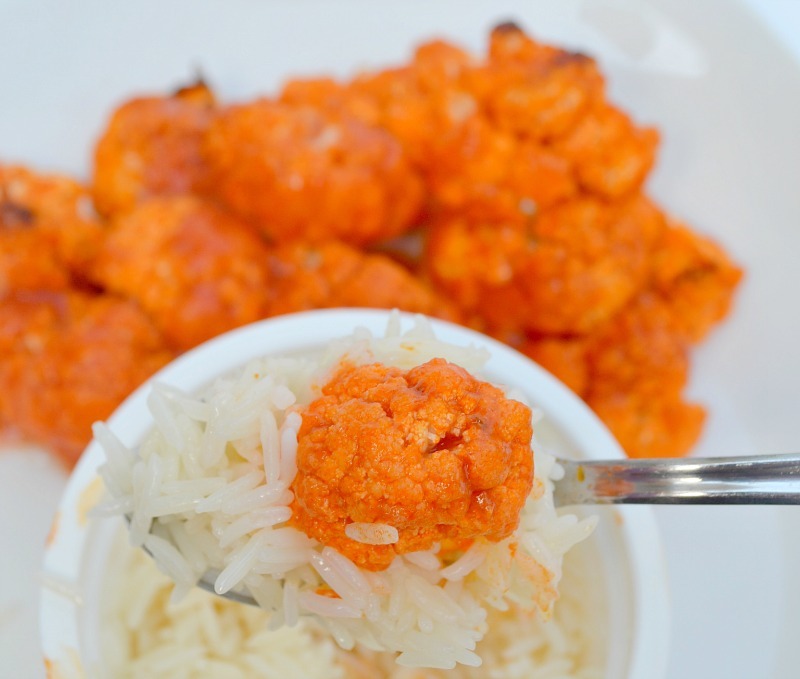 Super healthy and simple alternative to traditional buffalo chicken bites. Because this recipe is all about saving time and we have narrowed it down to only a few steps, they are not going to be super crispy. You may want to broil them if you are able to keep a close eye on them while they are in the oven. 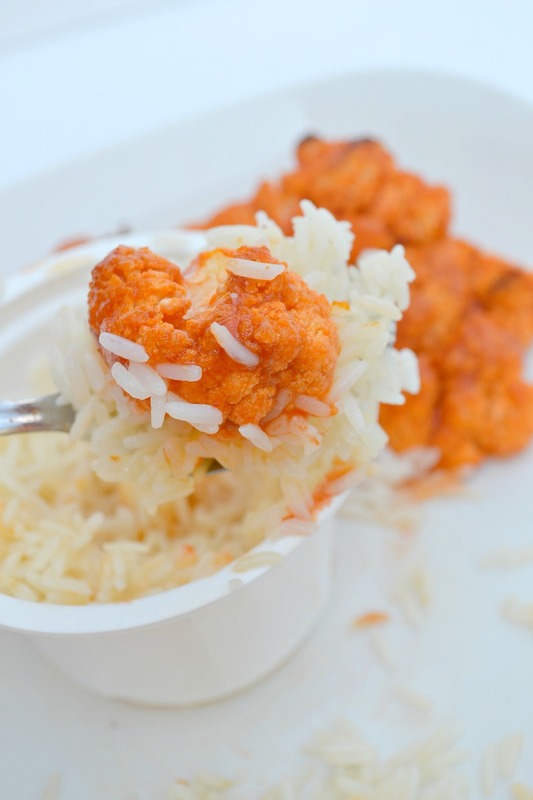 If you have children that love spicy foods and enjoy buffalo wings, this is a genius way to sneak in a veggie. You can also get creative with sauces and try out new dips. Again… if you are looking for a crispier version of this recipe, I suggest broiling them in the oven, just make sure to keep a close eye on them so you don’t burn them. 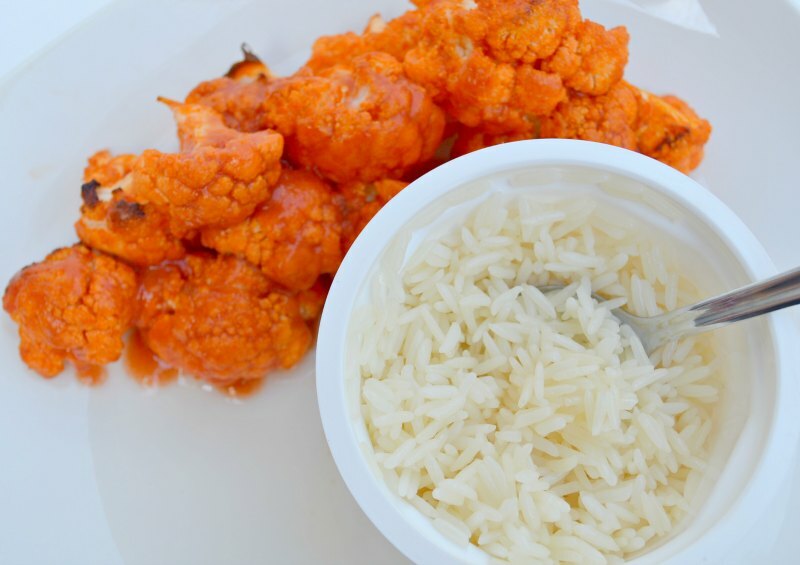 If you are looking for something to add with these delicious buffalo cauliflower bites, these Minute® Ready to Serve Rice bowls pair perfectly with them. What’s so great about them is that they are an easy go-to lunch for our family as we are in that busy back-to-school season. You literally only have to take the rice bowl, place it in the microwave for 60 seconds and they are done… um, can you say convenient? I am always looking for the healthy option when it comes to our meals and Minute® Ready to Serve Rice provides that easy portion control since it’s conveniently packaged in two individual single-serve cups. What a quick and delicious meal! Everyone in my house is absolutely loving this new combination and I am enjoying how much time the Minute® Ready to Serve Rice saves me! I hope you enjoyed another healthy and clean eating recipe! Let me know in the comments below if you tried this recipe out and what your thoughts were. 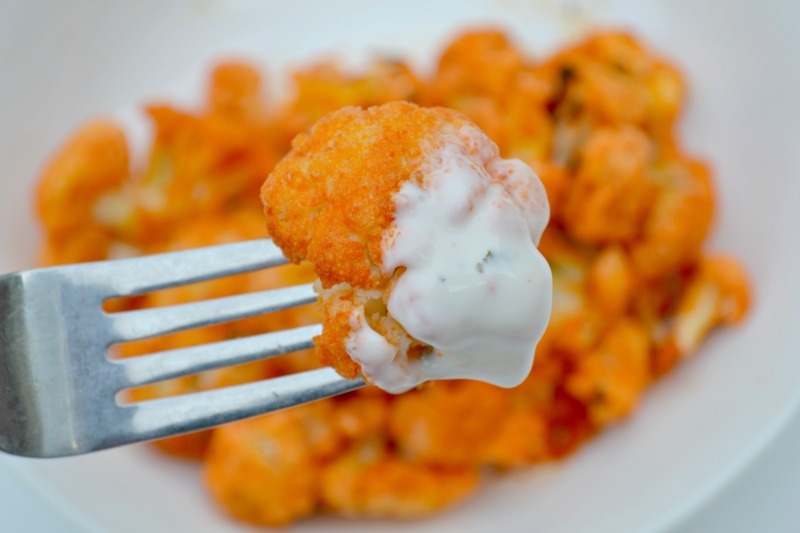 I have seen a few other cauliflower recipes that I want to try out and share with you, so make sure to stay tuned for that! Let me know if you tried out this recipe for corn nuggets as well! If you are looking for simple storage solutions to enjoy this food right out of the bag, make sure to check out the best meal prep bags. You can also learn more about healthy recipes in cooking school such as culinarylabschool.com! Spray a baking sheet with olive oil. Set aside. 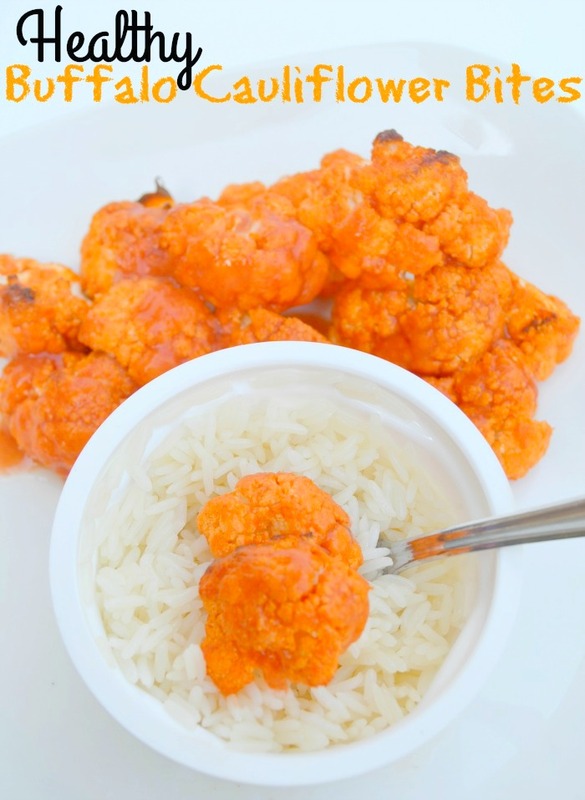 Mix the garlic powder, salt, pepper, melted butter, and hot sauce in a small bowl. 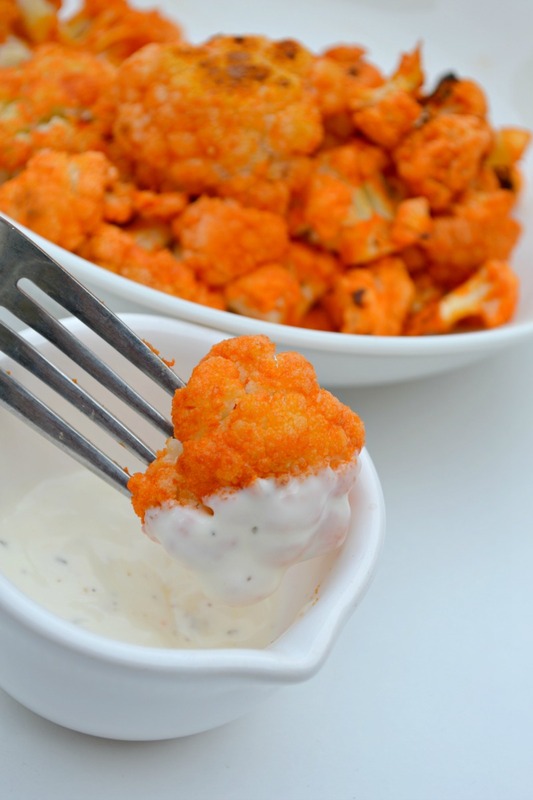 Add the cauliflower into a large gallon-sized bag, pour the buffalo sauce into the bag. Shake until the cauliflower florets are fully coated. This looks definitely delicious and I think best food to prepare for kids pack lunch. That looks amazing and I’m baking them in the oven now! Thanks for the recipe! In the oven right now and they smell great! Going to try with ranch cilantro lime dressing. Thanks for sharing this recipe. Sometime trying to eat healthier is tasteless and boring. These look and smell wonderful. I liked this a lot, but the sauce dries out in the oven and turns into almost a dry rub. Next time I think I’ll cook the veg for a bit before I toss it in the sauce so I still have some of that goodness at the end. You could try covering it with aluminum foil. That tends to keep everything moist. Can you use olive oil instead of butter? My husband is having heart issues and his diet is restricted. I use olive oil. I to am on a restrictive diet so I take care of me and I still eat good! I made this with my mom last week and am making again tonight for husband. Soooo good and yes the spice is real! Make sure to whip up a Greek yogurt dip on the side to take the edge of the spice off. Or whatever you fancy. I can’t get the hotsauce over here (Holland). 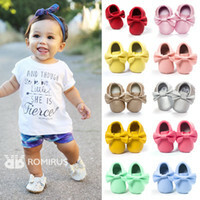 Any good replacement? Just use your favorite hot sauce,I had these at a restaurant were great. How long should I broil for to make it spicy for? Thank you so much I made these tonight and my family loved it!!!! They wanted more. I ran out of cauliflower. 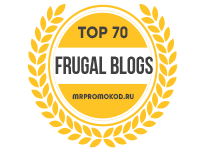 Pingback: Healthy Recipes – HEALTH.LIFE.LOVE. Can i cook this using pressure cooker? Just popped these in the oven before we ate them all raw! Haha! Can’t wait to taste them cooked! Going to make quesadillas with them. Thank you for the recipe. I would love to make these as a party appetizer. Do you lose the appeal if they ate not broiled? It would be difficult for me to do that. Can these be made in advance and warmed before serving? Thank you for sharing this. I love cauliflower. I will be making this for my family today. Excited to try this easy recipe. I’ve made this 5 times now I love it I always make extra sauce to dip in. Thanks for the recipe. I’ve made this so many times now! So yummy! I have made this recipe a number of times —–I love the healthiness of as well as the flavor. I use a convection oven and have tried baking them as small florets as well as larger ones. Mine are delicous, but i would like them to be a little more tender without being burnt—-any suggestions? Thanx for the wonderful recipe. Think these could be made in a crockpot? If so ..how long and would you adjust anything?